iPads and internet has made your kids occupied with artificial games and animated movies? You miss those old days where family bonding over early breakfasts were the tasks everybody used to look forward to? DIY is a great way towards having your kids spend some quality time with you! 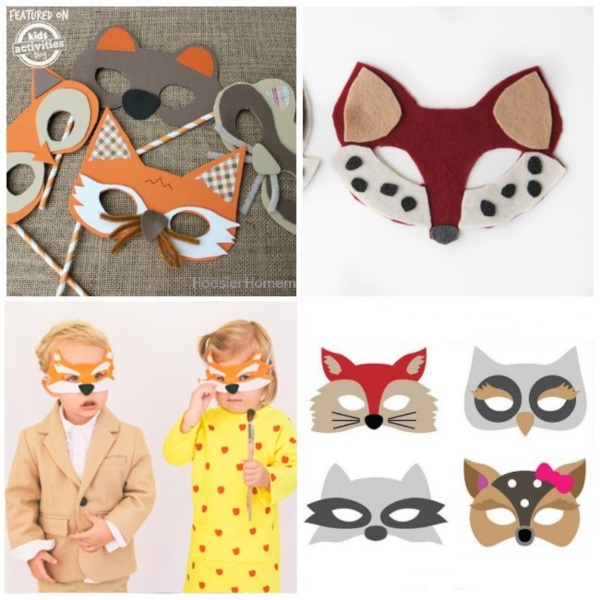 Plus, plus, look what’s coming up – With Halloween approaching quickly, you need to figure out quick and easy ideas for costumes. 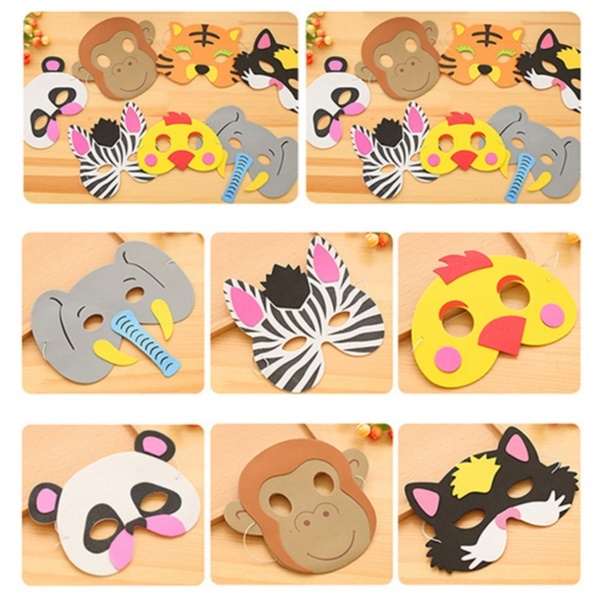 DIY masks will save you some money and at the same time, be a lot of fun, both for you as the parent and the child. 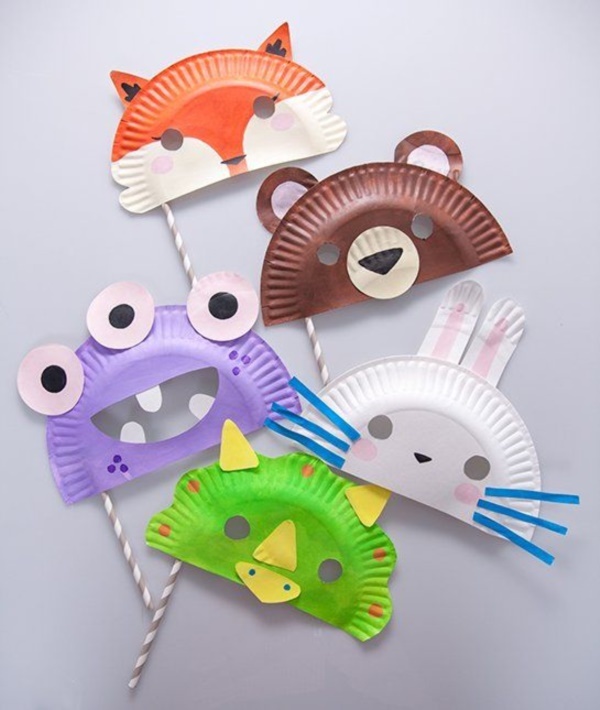 DIY Play Masks for Kids is a great craft project that you can take up a family activity! 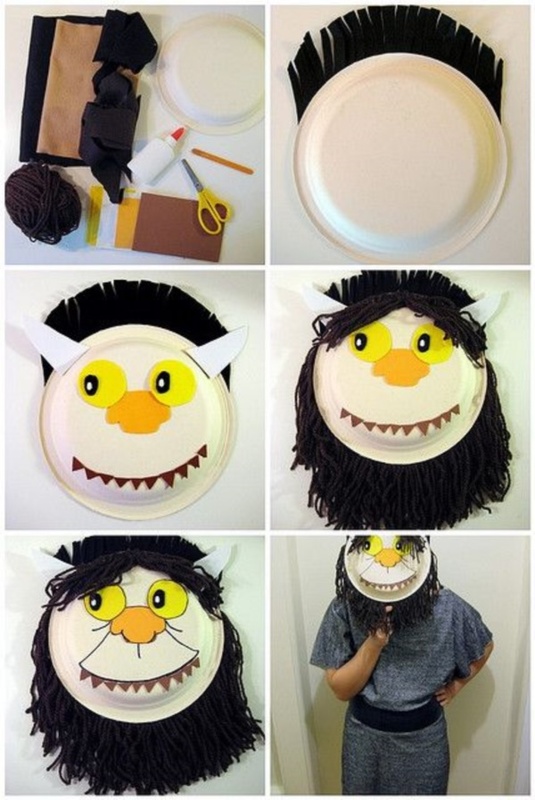 Take those extra paper plates, cut them in half, and paint them a nice and bright color. 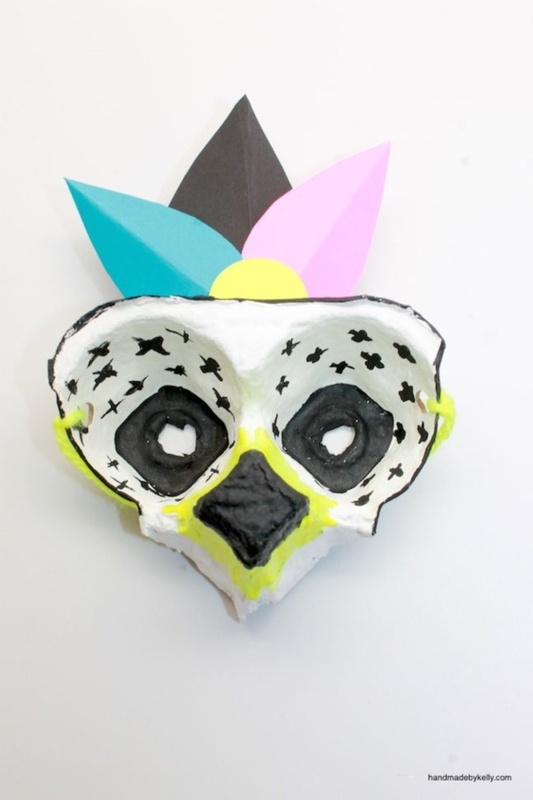 Add some eyes and nose and attach a drinking straw on one side to make a cool masquerade mask for your kid.Have a look on self do paper mache sculpture art examples for beginners. Cut out a nice eye shape with eye holes on a cardboard piece. Paste some foam flowers along the top of the eye piece and for extra effect; also paste some nice and fluffy white feathers along the top edge. 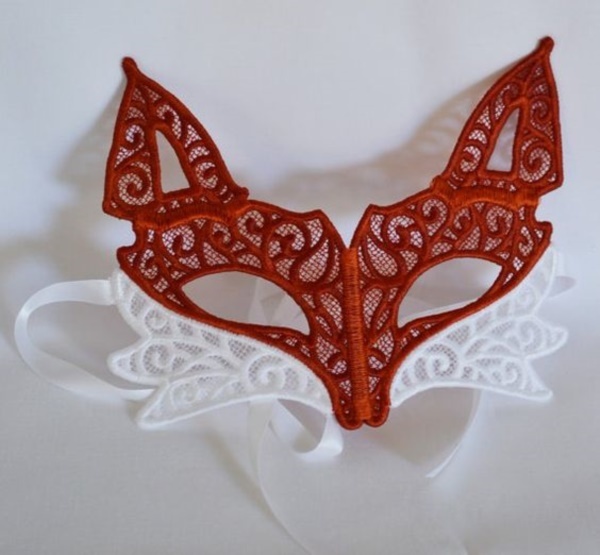 A string on either side to hold the mask in place, and you are all set. This one is easier but a bright one. Take a paper plate and color it yellow in the center. Make a fringe along the edges with your scissors and color that orange. Now draw a nice lion face on the plate and paste an ice cream stick on the back to hold it to your child’s face. You can work magic with paper and cardboard. 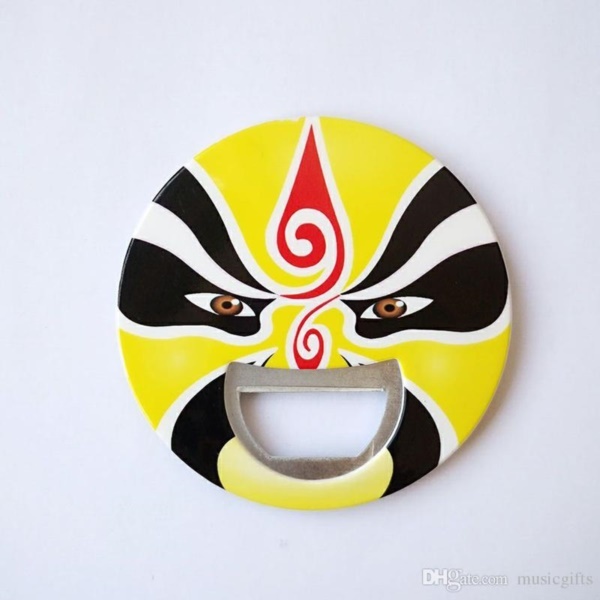 A rectangular piece of cardboard with two eye holes cut out is your starting point. Add a triangular nose in the middle. Take some colored paper and cut them in the shape of leaves with those scissors that leave a pattern. Attach these leaves to the upper center of the mask. 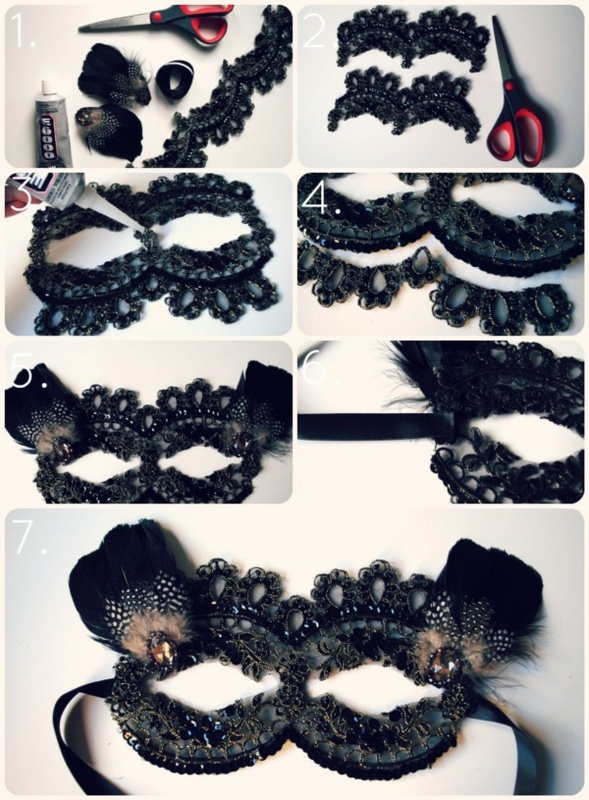 Thread a string on either side, and you have a nice bird mask ready to use. 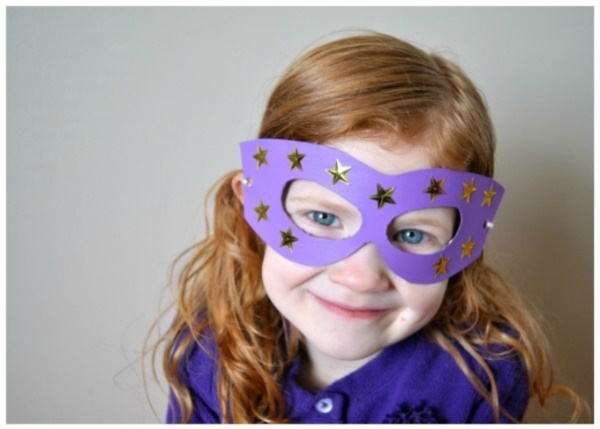 This DIY play mask for kids is the easiest I could find. 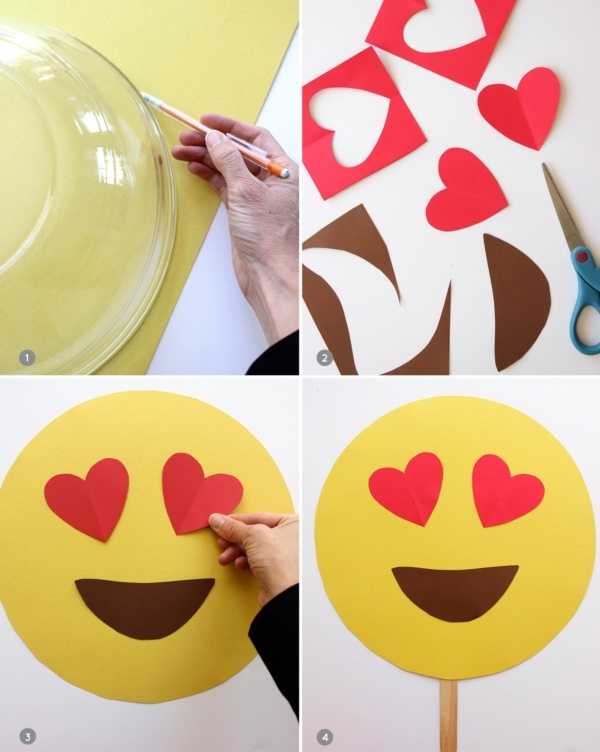 On some round, yellow cardboard, draw or paste some emoticon like features – smiley, winkeys, and so on. 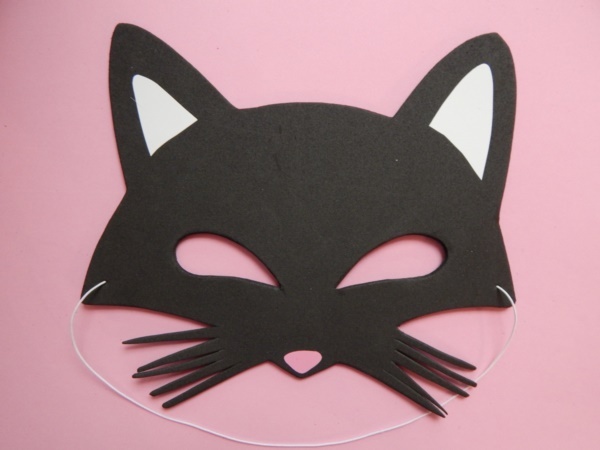 Make more than one, so that your child and his or her friends can all wear them to the party. Again, get out those leftover paper plates and cut them in half. Add some half circle shaped ears on either side. 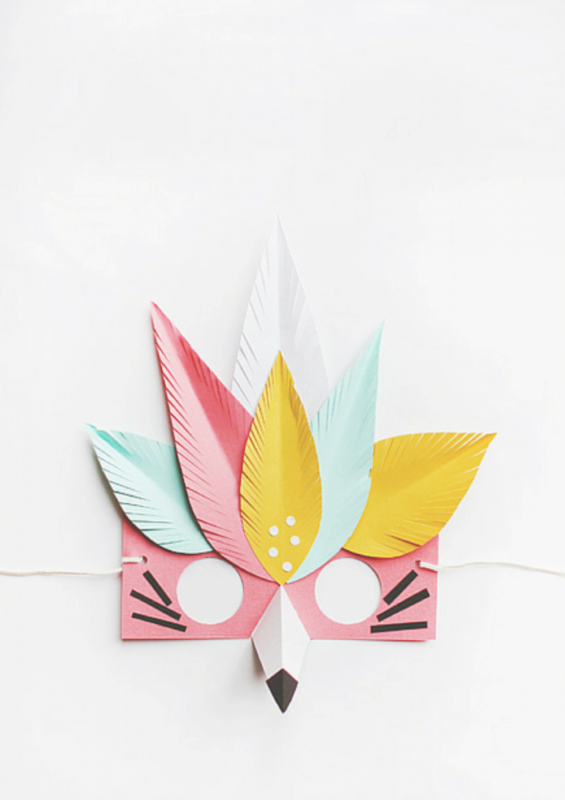 Take some nice contrast colored paper and make cutout shapes to paste on the mask all over. Use an empty ice cream cup for the nose and attach a stick for a holder. Don’t forget to cut out the eye holes!Also try unique PVC pipe decoration ideas. 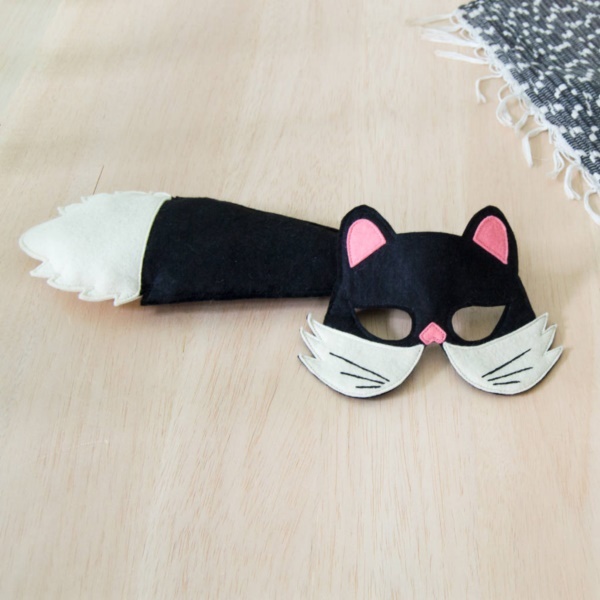 Take some felt paper and cut out a nice kitty shape with whiskers in another color and ears in a different color. This one is quite easy and cute to look at. 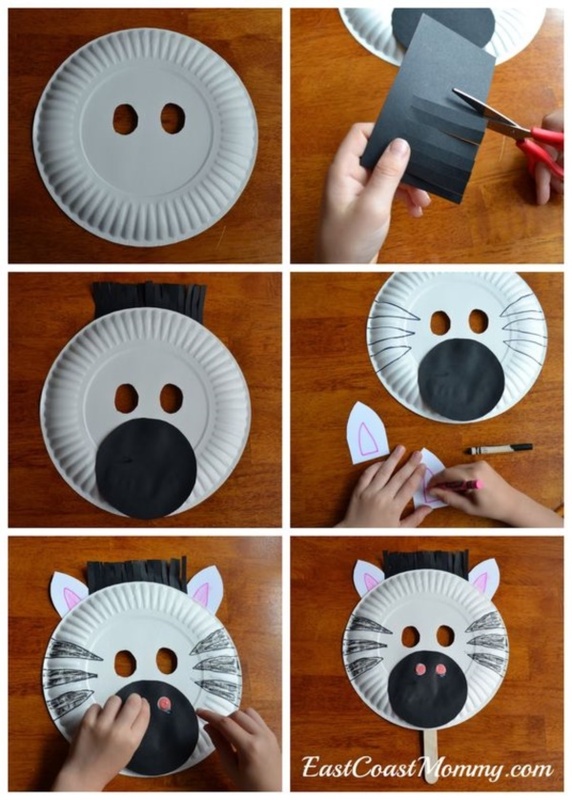 Take a round felt paper piece in black and draw some nice kitty features with a white pencil or chalk, after cutting out the eye holes. Use the leftover paper to make ears and paste them in place. 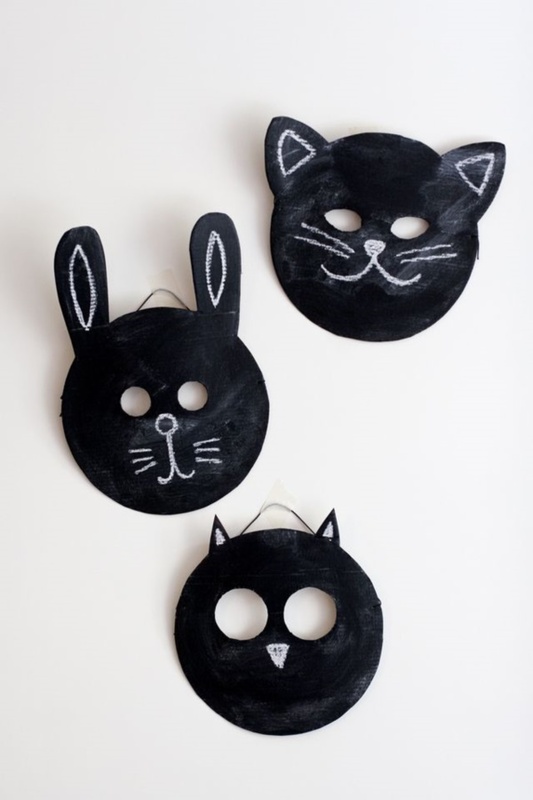 You can either wear them or even hang them on the wall after or during Halloween as some cool wall decorations. Do you have any of those drink carriers that you get from fast food shops? 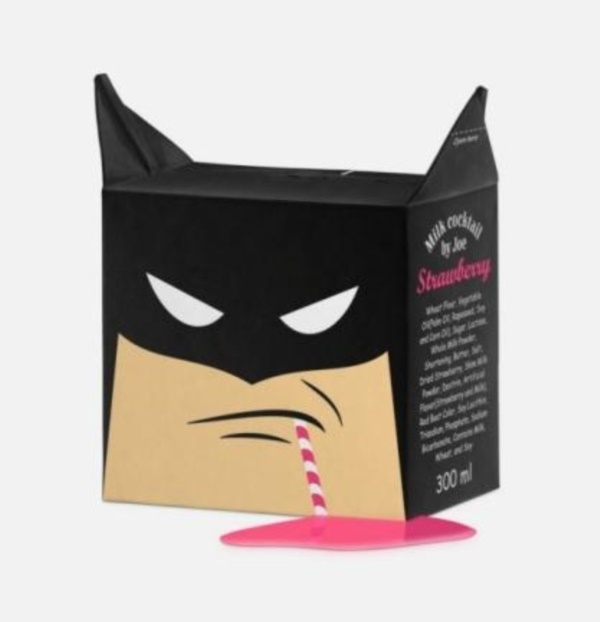 If so, use the twin ones to draw some nice stuff inside, after cutting out some eye holes in the bottom. 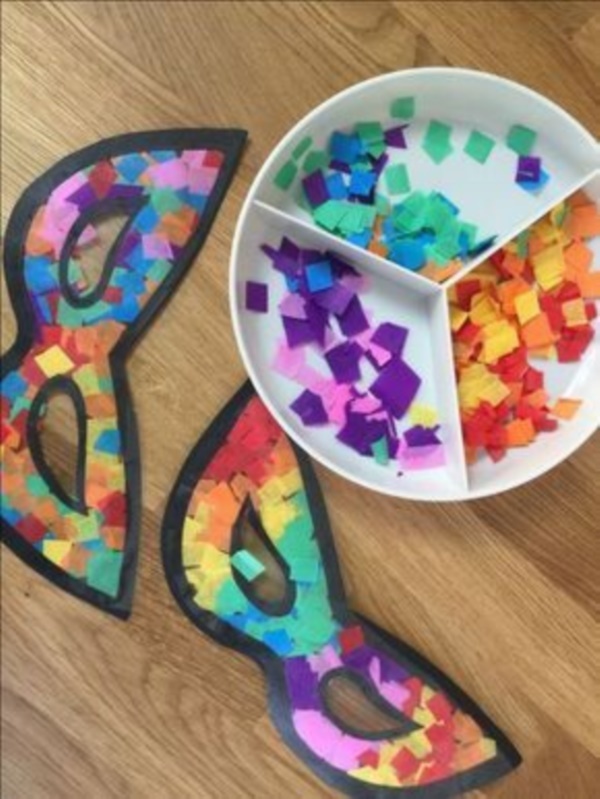 You can attach feathers or paper shapes to make it fancier and more colorful. 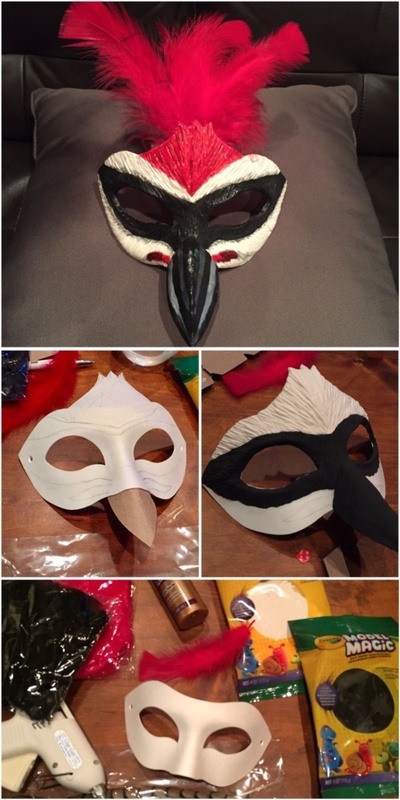 No need to but paper and cardboard for fun masks. Just take one of those egg cartons, and cut out two eye holes. Then decorate this one anyway you please and peek out from behind it for some fun with your kid. 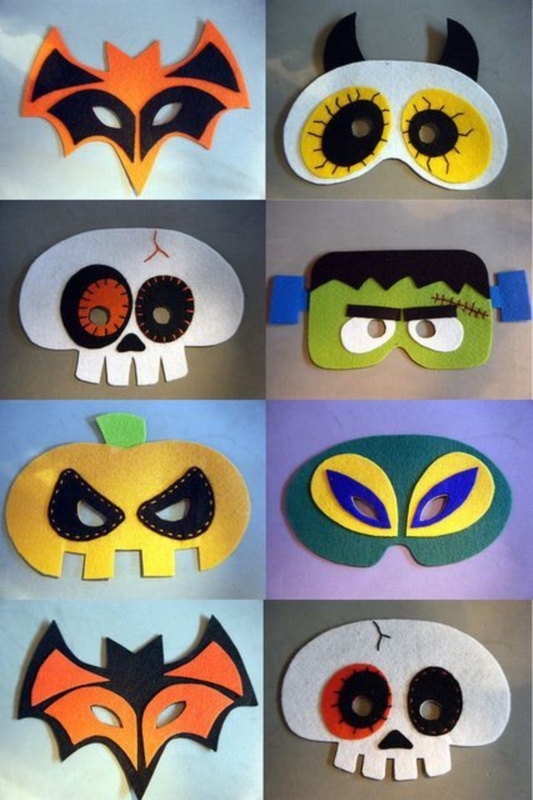 Take a round piece of cardboard and paste crunched up white tissue all over it, except for the eye holes. 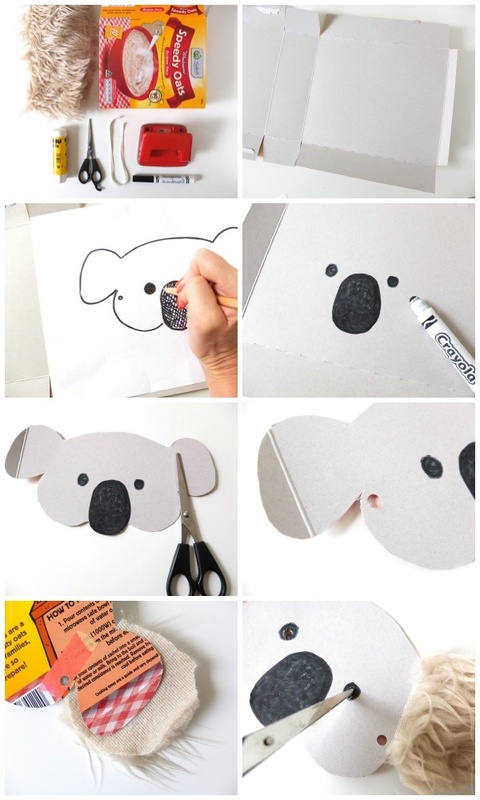 Paste a paper cup for the nose and put a black felt circle on the “tip”. 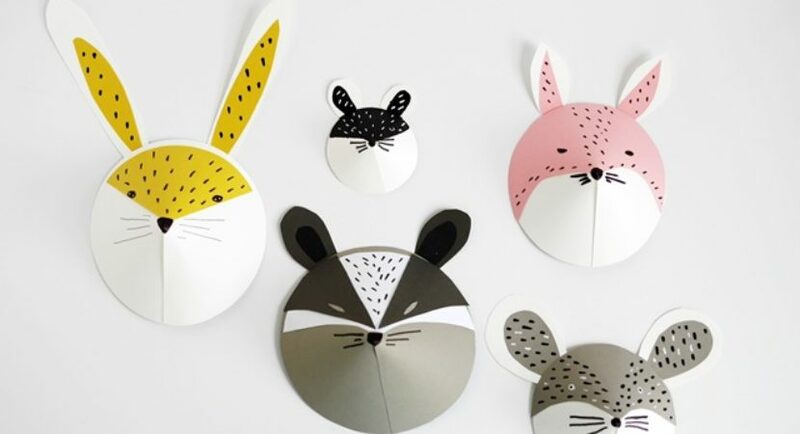 Make some half circle ears and paste them in place. 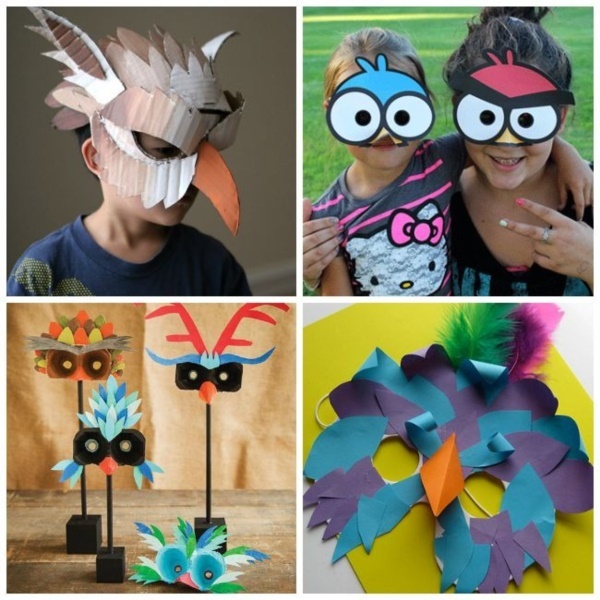 Use all sorts of colored paper for these masks and add some wing like shapes on either side. 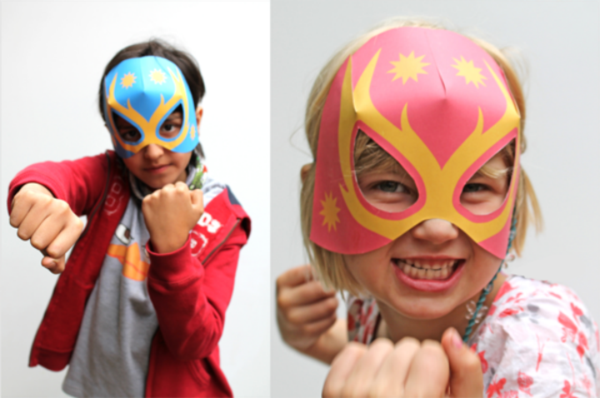 Super heroes can fly or at least some of them can and your child will fly high with excitement. 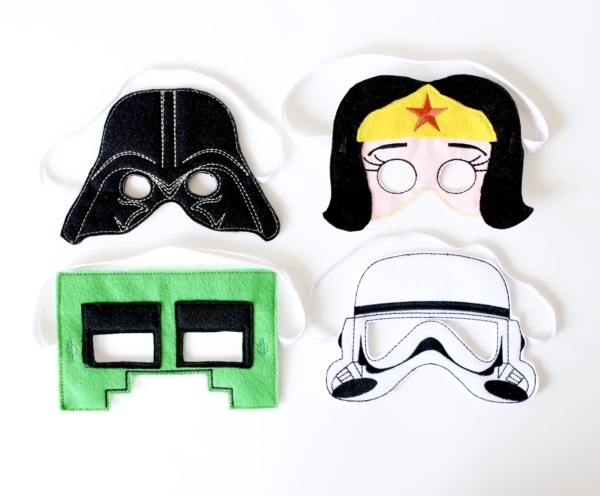 Hope you enjoyed these DIY play masks for kids and will try them out! 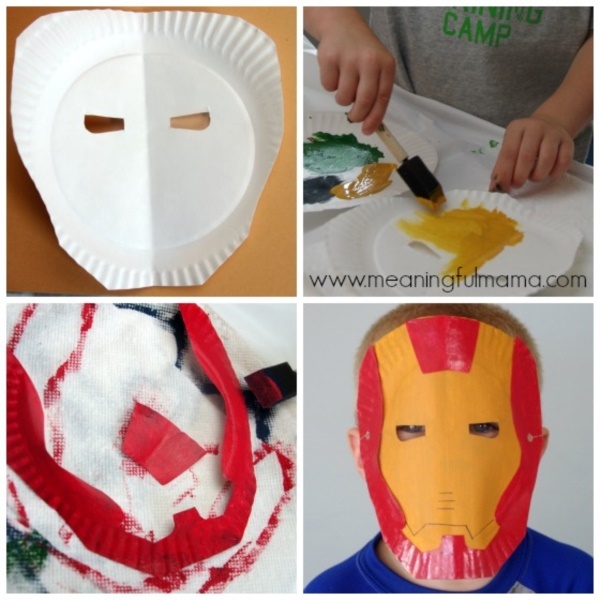 However, while you are enjoying some amazing time with your kids over these DIY play masks, one thing that you should keep in mind is that you must NOT use any material that may harm your kid’s skin. 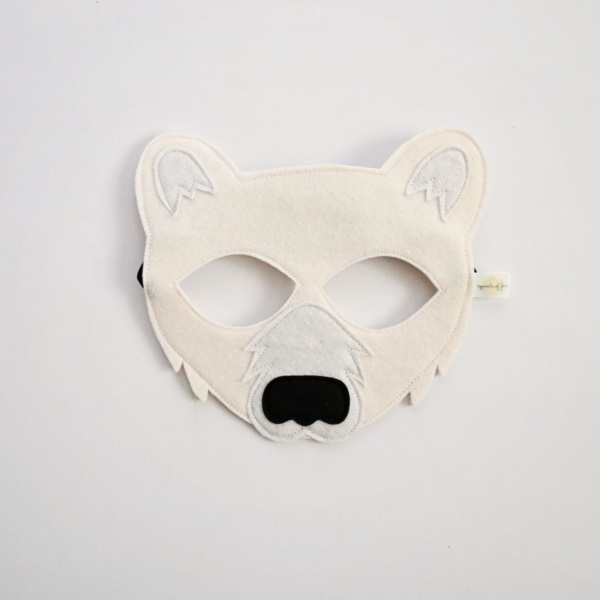 Kids, if they love the mask, will want to wear these masks for as much time as they can. So, use all those materials that will not suffocate them, nor will it harm their sensitive skins. 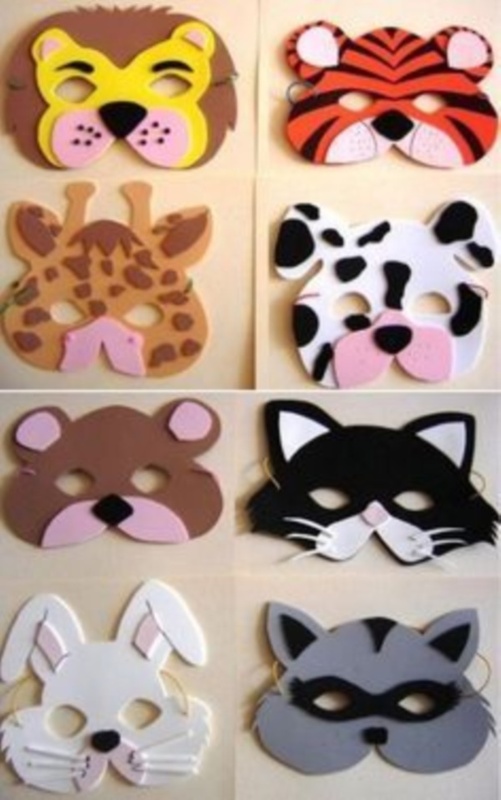 Be careful and have a great time making these DIY play masks for kids.